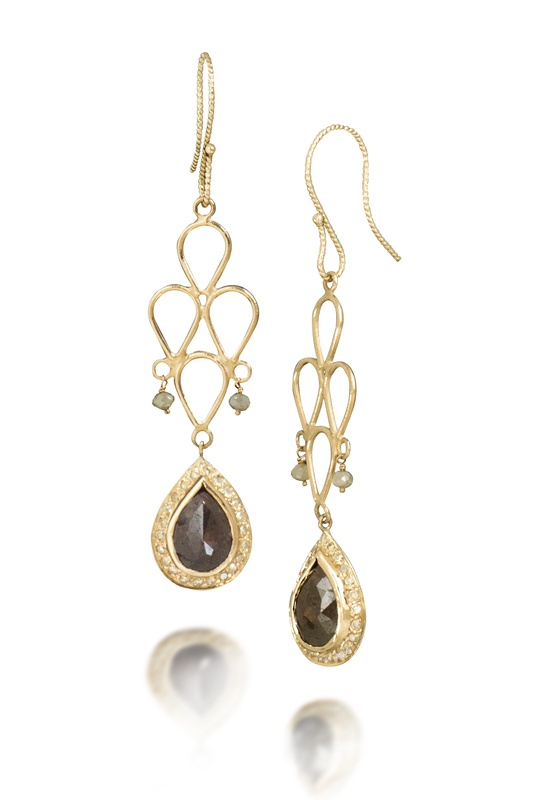 Max's 2012 Jewelry Events Launch This Weekend With A Just Jules Trunk Show! Posted on May 2, 2012 at 5:45 pm. We’re getting excited here at Max’s! That’s because we will be hosting our first designer event of the year this weekend – it’s a jewelry trunk show with Julie Romanenko, the designer of the Just Jules collection. Julie, who is making a return appearance to Max’s, is best known for her art-deco inspired pieces. She likes to work with organic shapes, textures and themes, carefully choosing gemstones that favor bright colors and rugged shapes, often leaving them in their natural state to be centerpieces in necklaces, rings and earrings. While she says that some of her favorite gems are chunky odd-shaped pearls, and free-form boulder opals, I think that my favorite are the colored diamonds like the ones in these earrings. The show is Friday, May 4 through Sunday, May 6 which, conveniently, just happens to be the weekend before Mother’s Day. You really don’t want to disappoint your mother….do you?